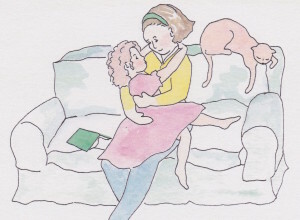 Love, after all, is where parenting begins and ends, right? Love is the glue. As the old standard song says, “The greatest thing you’ll ever learn is to love and be loved in return.” It’s what matters most, and what you want to remember (and you want your kids to remember) at the end of the day, at the end of their lives. But in everyday life, both parents and kids can get stuck on the things that don’t matter, like how much you brush your teeth or how fast you hurry. You can get so caught up on these things that you forget to reinforce, and they forget to remember how much you love them. No one reminds me more of just how transforming love can be than Benny. When we first met, Benny was in kindergarten crawling along the floor underneath a classroom table. He was in constant motion with a minuscule attention span, one of the most extreme cases of Attention Deficit Disorder I’ve ever encountered, compounded by poor motor skills and coordination. Benny couldn’t get through even the shortest lesson without disrupting not only his own education but that of the entire class. So Benny and I became well acquainted. We began meeting on a regular basis. Quickly I could see that his high energy level could drive the most patient teacher or mom to their wit’s end. But Benny’s mom knew how to keep her wits about her. I discovered how the day I met her in the hall. She was on her way to volunteer in Benny’s classroom, and he was walking by my side to my office. The moment he saw her, Benny broke from my side to run into her arms, which were wide open. She grabbed him and raised him into a big bear hug. What a blessing, the way she loves him, I thought. It wasn’t just the hug. Love is so much more than hugs. It was that even in her frustrated moments and times she needed to discipline Benny and teach him things, she began and ended by showing and sharing her love for him. Benny’s mom loved him unconditionally, or as Dr. Ross Campbell says,”No matter what the child looks like…..No matter what we expect him to be, and most difficult, no matter how he acts. Unconditional love means we love the child even though we may detest the behavior.” Unconditional love is constant. This kind of love is the most important thing you can give your child. Dr. Barry Brazelton, a pediatrician and author , explains that’s because this kind of love is essential in building a sense of trust and belief in oneself. 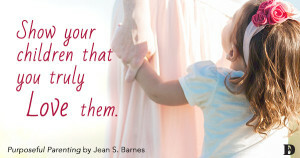 When you love unconditionally, your children see that they are treasured and cherished. They develop an internal sense of their own preciousness, or, as the Bible puts it how they are “fearfully and wonderfully made” (Psalm 139:14) for a purpose and on purpose—sensibilities that are the foundation of self worth. Anything less than that kind of love is conditional, and conveys the message “I love you when you get straight A’s” and “I love you if you do what I say.” Conditional love changes with the circumstances, as uncertain an unsafe as a faulty electric circuit that flickers on and off again, always on the verge of erupting into sparks, igniting a fire, going up in flames, and leaving your relationships in ashes. Conveys the message , I love you if …. you get good grades. Causes feelings of insecurity, incompetency, and performance anxiety. Loving in this transforming way is not easy. How do you love someone when he or she is getting on your last nerve? How can you love the child who, much as you may be reluctant or loathe to admit, disappoints you? The first step is learning to let go of dreams of a perfect child. You know all parents have them. You image tiny arms wrapped around your neck, sweet thank yous, and heart warming pictures in Crayon tacked to the refrigerator, gratefulness at the dinner table or when tucked into bed. You envision your child doing great things, conquering the world, or at least some corner of it—at least the homework. Let go of how you wish your child could be, and may become, and accept your child as he or she is right now. Your child may have your looks, name, mannerisms, build or any other number of similarities. But that doesn’t mean your child will share your ambitions, personality or even your values. Your dreams for your child may not be be theirs at all. So this is head-on intentional choice to make, a mindset to deliberately nurture again and again, and the essential first step to loving unconditionally. Secondly, celebrate the mix of strengths and weaknesses in your child. This kind of love is the most important thing you can give your child because this kind of love is essential in building a sense of trust and belief in ones self. Celebrate the mix of strengths and weaknesses in your child that acknowledges: Yes this is my son. This is who he is, and I know it and accept it. Ironically, loving your child just as they are, flaws and all, helps them transcend those weaknesses or failures, becoming and achieving more. Lastly, honor your child’s identity. Affirm and call out the very best in your child, what is , reinforcing all that makes your child special. Putting aside your own interests and agenda, even when your child’s interests and gifts collide with your own. The most important question in your child’s mind is “Do you love me?” The answer to this question is critical. If you love your child unconditionally the answer will be yes. If you love conditionally, then anxiety is certain to exist around this question. Remembering that actions speak louder than words, an eye opening exercise is to take a mental inventory of your interactions with your child at the end of the day or a week. Picture your child asking the question, “Mom do you love me? Dad do you love me?” What would the answer be? Have your words been loving, affirming, or encouraging? 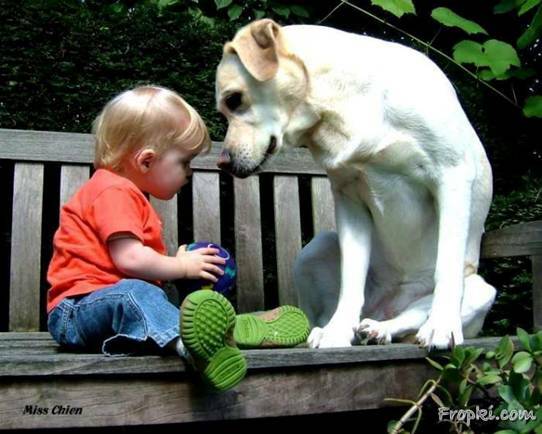 How many minutes were spent in one on one time delighting in your child? Has your message been one of criticism, harshness or irritability? Perhaps, there was no message at all. Love, after all, is where parenting begins and ends, right? Love is the glue. It’s what matters most, and what you want to remember and what you want you kids to remember at the end of the day, at the end of their lives. But in everyday life, both parents and kids can get stuck on the things that don’t really matter, like how much you brush your teeth or how fast you hurry. You can get so caught up on these things that you forget to reinforce, and they forget to remember, how much you love them. If parents would schedule into their busy day thirty minutes of relationship time with each child individually, children would feel more loved and cherished. During relationship time, the child receives the undivided attention of the parent. Dialogue is encouraged. The child receives the gift of undivided attention of the parent. The important of listening to one another cannot be emphasized enough. In this safe environment, children are encouraged to share their feelings, fears, and experiences of the day. During this time is a golden opportunity for parents to share their values and lessons learned. Active listening demonstrates love and respect. Over the years, it has been my practice to encourage parents to spend thirty minutes a day in relationship time with each child. For parents who heeded my advice, rewards were quickly evidenced. Children became better behaved. The need for negative attention diminishes when positive attention is a regular part of the day. Love flourishes. While in my twenties, I found myself single- divorced with two young sons. My dreams of raising my sons in a loving Christian family were destroyed. While attending a graduate course on causes of emotional disturbance in young children the professor stated that if parents would spend 30 minutes a day individually with each child it would go a long way to alleviate problems. The idea stuck in my head. There was something I could do. That very evening I began the practice of thirty minutes a day. Looking back, I am glad that I did!